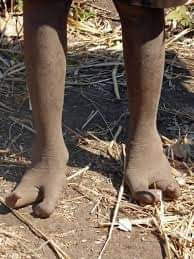 The Vadoma people of Zimbawe are called the people with Ostrich legs because they have two toes. 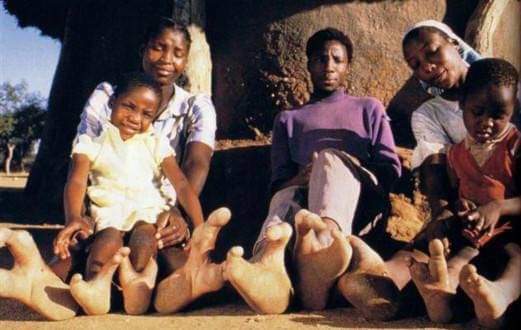 It is difficult for this people to wear shoes because of how their legs are shaped. 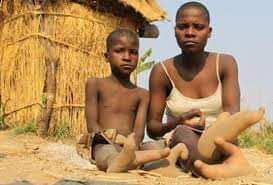 They live in the Northern part of Zimbawe. It is difficult for them to walk or run properly because of how their legs are shaped. However climbing trees seem to be so easy for them.